BARRINGTON, Shute. A Charge Delivered to the Clergy Of the Diocese of Sarum at the Primary Visitation of That Diocese, In the Year MDCCLXXXIII By Shute Lord Bishop of Sarum. [s.n.]. 1783.
, 24pp. 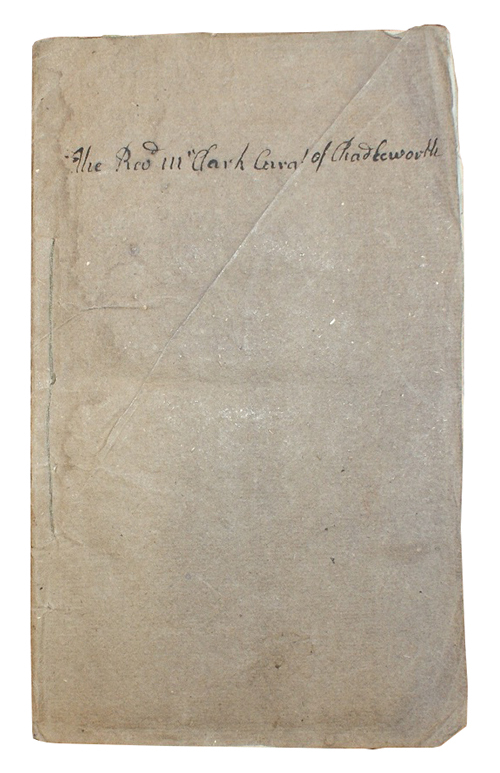 Uncut in original paper wraps with later stitching, inscribed in ink to upper wrapper 'The Revd. Mr Clark Curate of Chadleworth'. As the present copy bears the name of an English clergyman in the Marlborough area, it is possible that Shute Barrington (1734-1826) distributed this short encouragement of residency, activity and diligence given on his translation to Salisbury to his subordinates in the Sarum See. 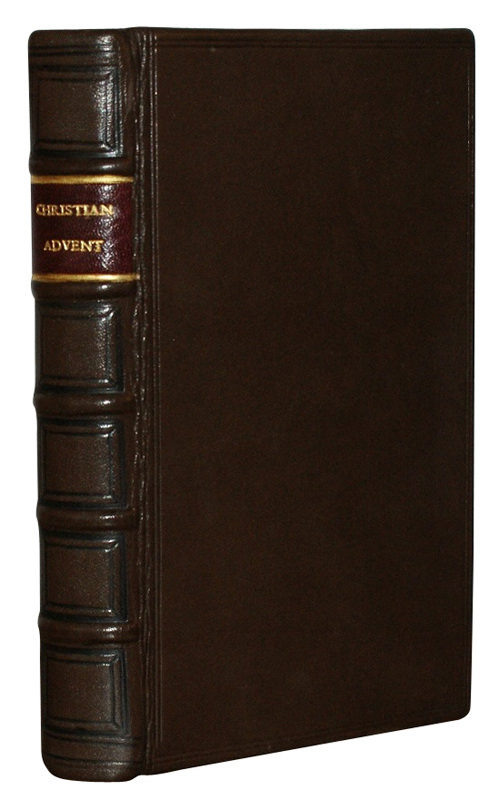 One of three editions and formats appearing in the first year of publication; all are scarce, with this present edition recorded by ESTC in nine copies at seven locations worldwide. ESTC T53324. BAYLEY, Peter. Jun. Esq. Poems. Printed for William Miller. 1803. First Edition. , 208pp [i.e. 209pp], . With half-title. Uncut in original drab paper boards, neatly rebacked. Bookplate of John Murphy. 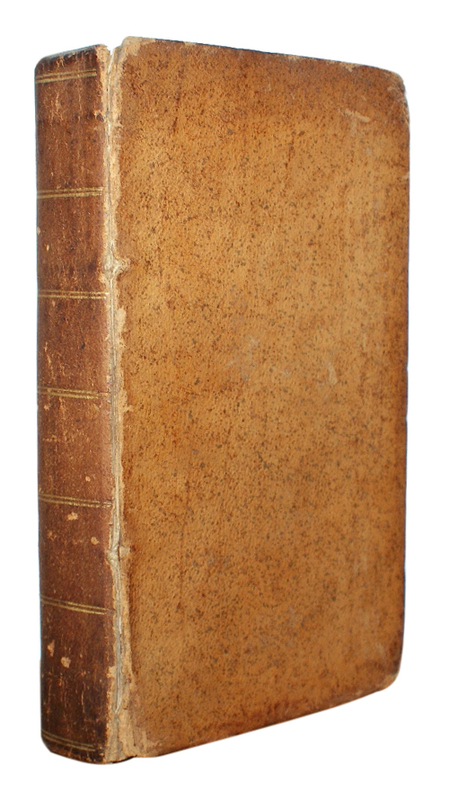 Bishop, Cork, 1815 to FEP, Ink stamp of Minerva Rooms, Cork, to half-title, title, and, along with manuscript shelf-marks, to occasional text leaf. BECK, Thomas. Poetic Amusement, Consisting of a Sample of Sonnets, Epistolary Poems, Moral Tales, and Miscellaneous Pieces. 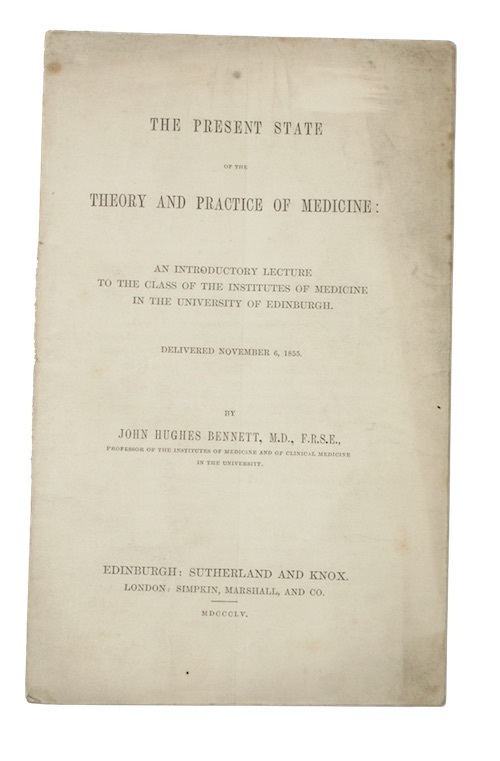 Printed for Maxwell and Wilson. 1809. First Edition. xi, , 204pp. With half-title. Original publisher's cloth backed paper boards, paper lettering-piece. Worn, with loss to spine and boards. Ink stamp of William T. Harris to FFEP. Foxing to text. BELFOUR, John. Music, A Didatic Poem, In Five Cantos. Translated from the Spanish of Don Tomas de Yriarte, into English verse. Printed for Wm. Miller. 1807. First Edition. [iii]-xxix, , 192pp. With engraved portrait frontispiece and terminal errata slip, without half-title. Contemporary half-calf over terracotta paper boards, gilt. Rubbed, lower joint splitting, upper joint cracked with some loss at head and foot. Bookplate removed from FEP. BELFOUR, John. Spanish Heroism; Or, a Battle of Roncesvalles. A Metrical Romance. Printed for Vernor, Hood, and Sharpe. 1809. First Edition. ix, , 277pp, . With half-title. Contemporary half-calf over marbled boards, gilt. Slightly rubbed to extremities, bump to fore-edges, sporadic foxing.